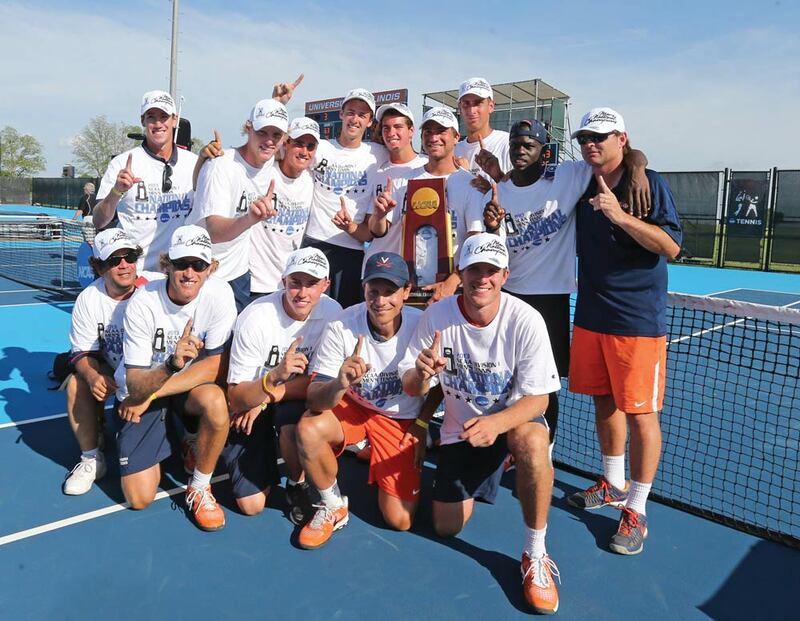 At this year’s NCAA tennis tournament in Urbana, Ill., the UVA men’s tennis team gave Coach Brian Boland a lot to celebrate. After coming up short in the NCAA finals in each of the past two seasons, the Cavaliers overcame top-seed UCLA in a dramatic 4-3 victory in May, making them the first ACC team to win an NCAA men’s tennis championship title. Down a break in the final set of the deciding match, Mitchell Frank (Col ’15) saved a match point before fighting back to win, earning the national title for UVA. One week later, Jarmere Jenkins (Col ’13) and Mac Styslinger (Col ’16) teamed up in the doubles final against the University of Texas at Austin. Jenkins had just suffered a disappointing loss in the singles final against Ohio State. 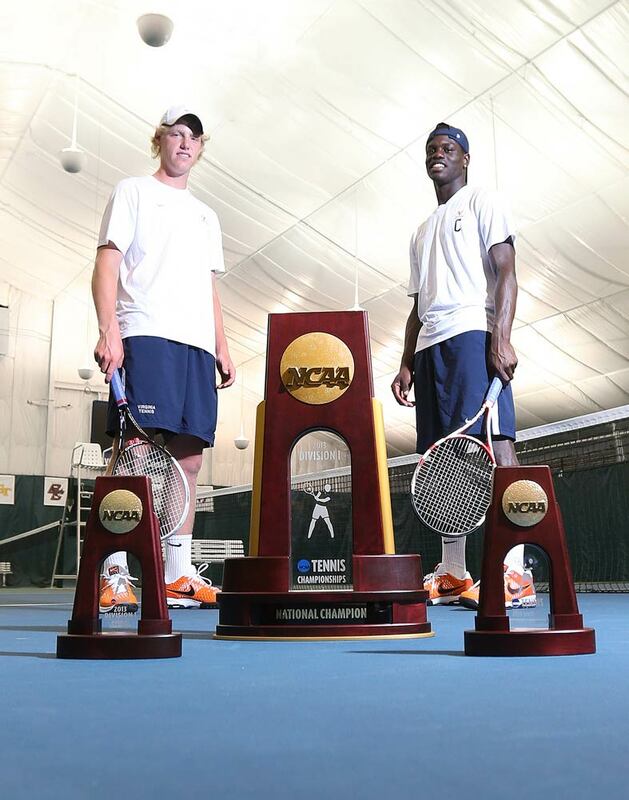 But together Jenkins and Styslinger, a fourth-year and a first-year, respectively, won the the NCAA doubles title. Under Boland’s direction for the past 12 seasons, the men’s tennis team has become a national powerhouse. No other ACC team has reached the NCAA semifinals, and this year’s doubles title is the team’s third in five years. Virginia also won its seventh straight ACC Championship this year after going 30-0 in the 2013 season, and won its fifth Intercollegiate Tennis Association National Indoor Championship in the past six years. The ITA also ranked UVA as its top team, placing UVA first in singles and second in doubles. Jenkins, meanwhile, was named Player of the Year by the Intercollegiate Tennis Association and the ACC’s and UVA’s male Athlete of the Year.